In the next decade, it's predicted that the U.S. will experience the largest transfer of land since the Louisiana purchase, as over a hundred million acres of farmland becomes available. The average age of farmers is rising steadily, and few women and minorities are the primary operators on farms. As urban centers grow and rural communities shrink, fewer and fewer people, especially children, have regular access to farms and local food systems. All of these trends both concern and motivate us at Lily Springs. Our Education goals target everyone from elementary schoolchildren and college interns to community members, farmers, local restaurant customers and others interested in practices of regenerative agriculture, holistic management and conservation. Throughout the year, school groups and kids' camps visit to learn about protecting bees, native wildflowers, and livestock care. College groups explore what a regenerative, permaculture-based agricultural model looks like in practice. Customers who purchase our crops learn about the ecological benefits of growing native perennial plants, and local farmers can use the results from our experimental work to inform their own farming practices. Above all, we aim to inspire young people to engage with their local food systems, whether through supporting their local farmers or becoming farmers themselves. Our educational work is bolstered by the incredible and diverse partnerships we have developed within Polk County and the greater Twin Cities metro area. We regularly host groups from City of Lakes Waldorf School, the Science Museum of Minnesota's Kitty Andersen Youth Science Center, and HECUA (Higher Education Consortium for Urban Affairs) for multiple years. 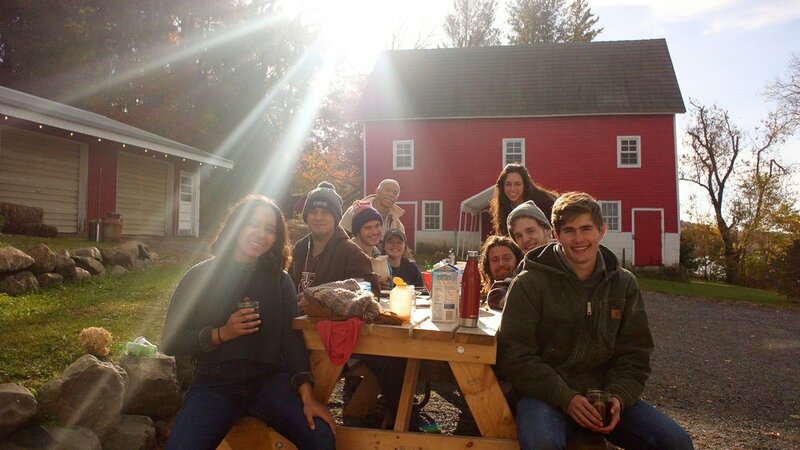 CTEP AmeriCorps volunteers spend a weekend at the farmhouse, lending a hand on large-scale projects, learning about food systems, and enjoying the property. Wild River Fitness kids' camps visit Lily Springs throughout the summer for a day of outdoor play and the chance to meet our friendly goats. 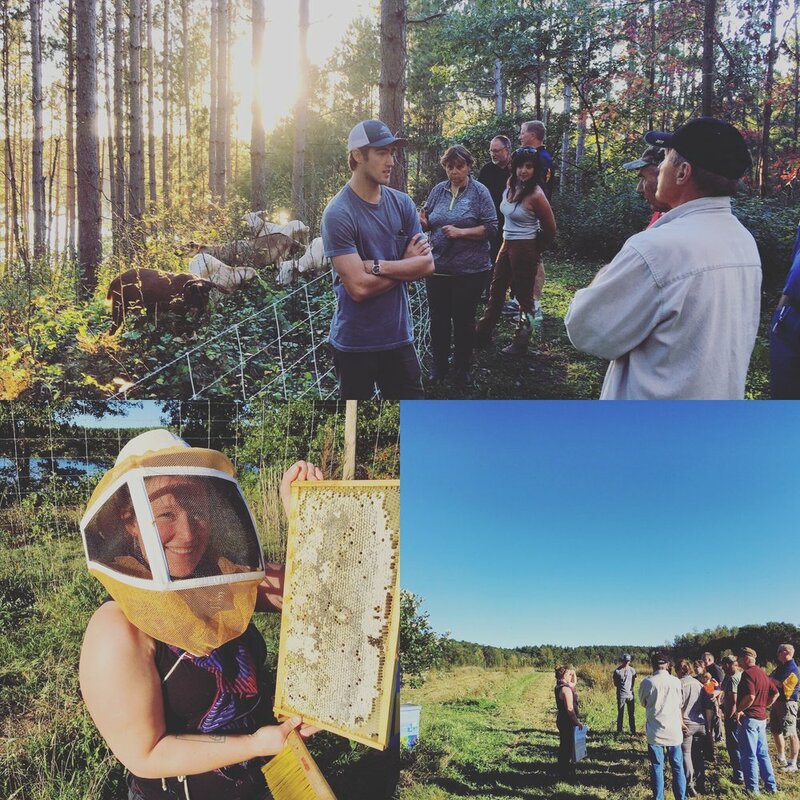 As an Education Apiary Partner of Pollinate Minnesota, we host honey bee hives and serve as a pollinator station for classes about pollinator protection and health for agricultural educators and Minneapolis youth. Our commitment to our community is Osceola is also a driving force for our educational work. 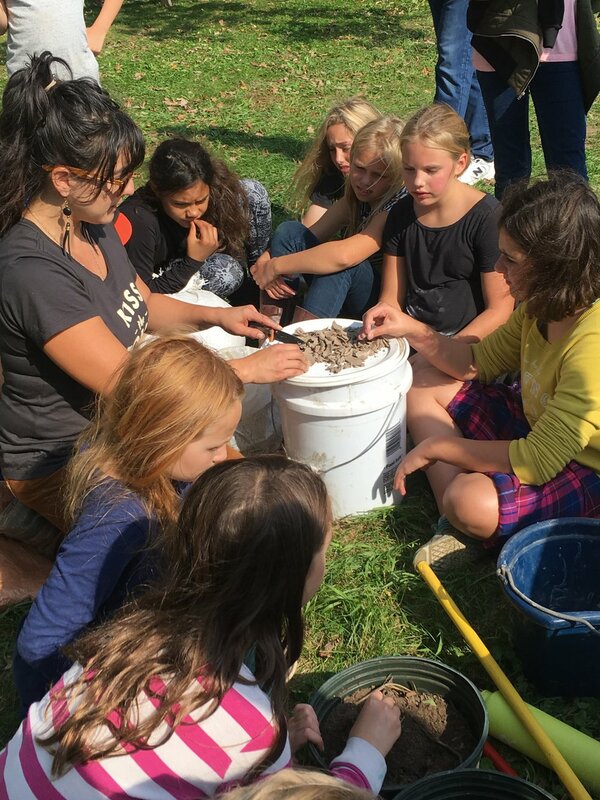 Tanna from The Friendly Forager leads workshops about food preservation and wild foraging on our property, and to support the Chamber of Commerce and Osceola as a Wisconsin Bird City, we host birding walks with DNR avian ecologists involved in the Wisconsin Stopover Initiative. Students in Osceola High School's Tech. Ed. class built us a farm shed that we are proud to include on the property. Are you interested in teaching a workshop, visiting with a camp or class, or leading a retreat at Lily Springs Farm? Learn more on our Education and Events page.